Anyone who has heard about Hoi An must have known about its splendor scenery, but not everyone may know about the Silk Village, a destination which is new but not any less interesting than the ancient towns of Hoi An. Coming there, tourists will have a chance to see a massive gallery of silk products and learn about the fabric-weaving methods of local artisans. The first place to visit is the showrooms of silk products, where thoudsands of textiles and and various completed costumed are exhibited. 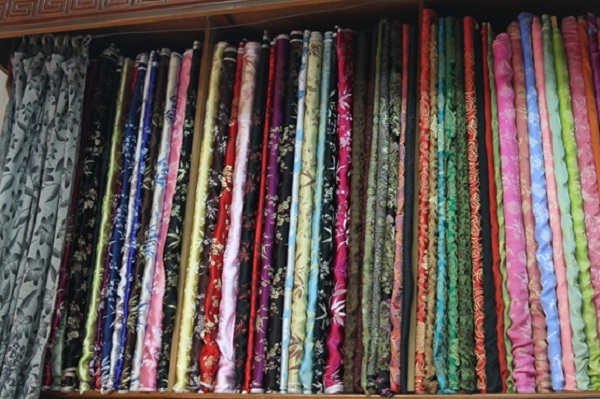 There you will see silk fabrics in many colors with different patterns, and learn how to differentiate between pure silk and artificial silk. 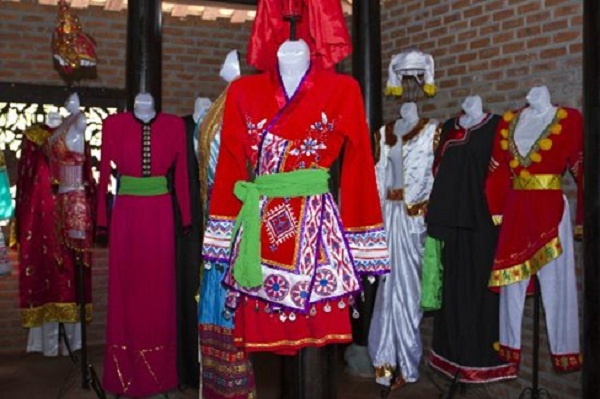 You can admire a collection of 100 old costumes by 54 ethnic minority groups in Vietnam displayed in ancient houses. And there is a gallery of ao dai, traditional Vietnamese silk clothing for women, as well. You will be astonished by the elegance and nobility of those products. After that, visit Cuu Dien weaving loom to see how the silk is weaved and transformed into textiles. 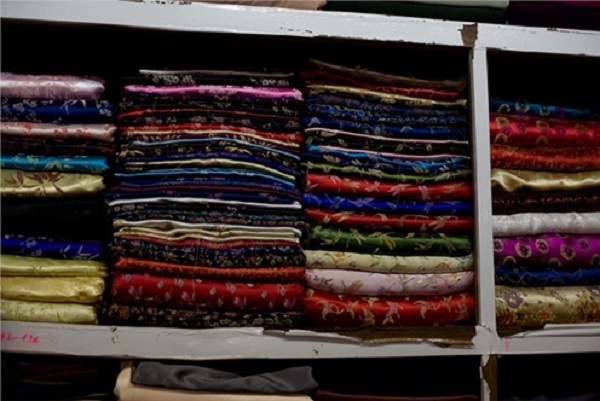 You can get a glimpse into the making process of Quang Nam’s traditional silk and Cham people’s brocade cloths. If you are really interested in silk products there, artisans will advise how to choose the fine silk, and even offer the embroidery and textile products for your purchase. 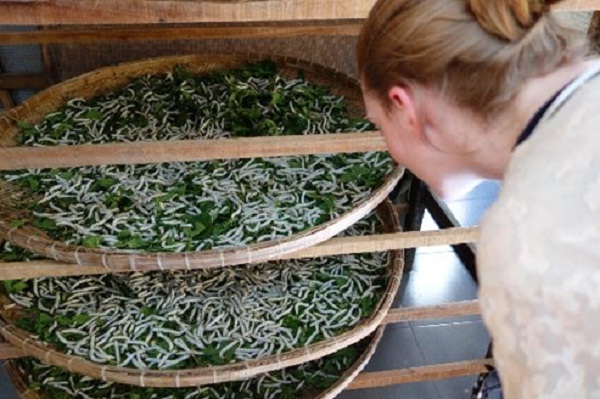 Hoi An Silk Village is a living museum of mulberry, silkworms, tools and methods of Champa – Dai Viet textile and garment. Traveling there will give you an in-depth look on the history of this traditional career. 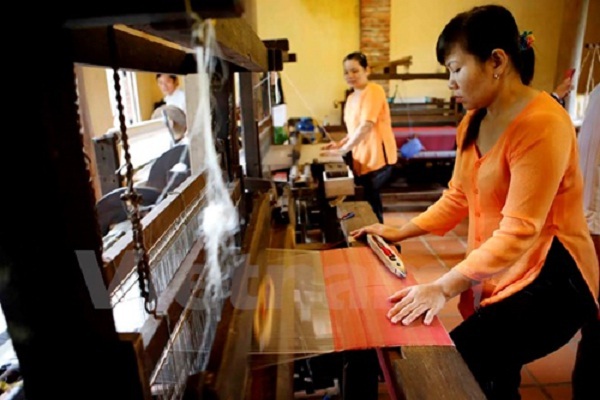 And if you find silk weaving appealing, you may also interested in other traditional careers from this country, as Vietnam is famous for having a variety of traditional careers.